Clean the filter by using compressed air. Replace the filter according to the Maintenance Schedule. If the vehicle is operated in extremely dusty or sandy areas, replace the element more often than the usual recommended intervals. Use a Kia genuine part. 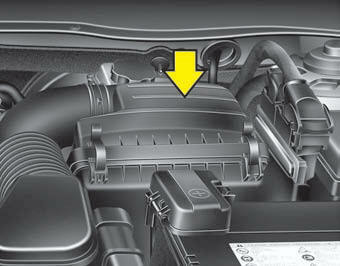 Use of nongenuine part could damage the air flow sensor.